I recently posted an article titled Purchase Decision – Winter Tires – Part 1. In that post I discussed the fact that I was looking for winter tires for both of my vehicles. The stock sizes I was looking for were 205/55 R16 and 235/60 R17 (for the second vehicle I was also considering tires in 225/65 R17 to give me more options to choose from). I have now made both of my purchases and I thought I should update you on what I bought, why I made that selection, and what the cost was. As I mentioned in my previous post, the prices I will quote do not include the mandatory tire recycling fee of $3 the Nova Scotia government requires on each new tire purchase, the installation and balancing charges of approximately $10 to $20 depending on the shop, or Nova Scotia’s Harmonized Sales Tax of 15%. Yeah…I shake my head every time I write all of that down. As I write this, winter will soon be upon us up here in the Northern Hemisphere, and this is the time that the thoughts of many drivers turn to winter tires. 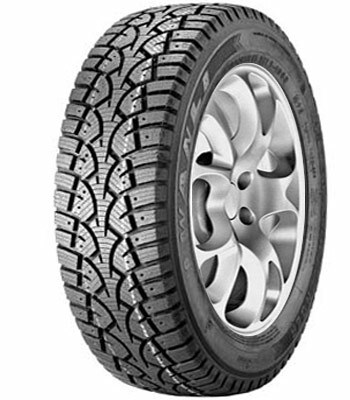 Winter tire technology has changed a lot over the past several years. Gone are the days when your only choices were loud luggy winters with poor handling characteristics which used the same hard rubber compounds found in “all season” tires. Today’s winter tires come in a variety of tread patterns with new rubber compounds that stay soft an pliable in the cold weather to grip the snow and ice better. I put the “all season” in quotes above because those tires are not really built for ALL seasons. I call them “All Season But Winter” tires. If you live in a place where the roads get occasionally covered in snow and ice, running all seasons in winter is a big gamble. All seasons are constructed of harder rubber compounds with tread patterns which maximize dry and/or wet road performance as well as tread life. If you are running that type of tire on snow or ice, you are essentially asking for traction from a set of bumpy skis. If you are still not convinced that all seasons aren’t a good choice for winter driving, have a look at the series of Winter Tire Test videos produced by the Automobile Protection Agency out of Toronto. So if you are like me you probably have a lot of media stored on various devices throughout your house. That media probably includes pictures, ripped music, home videos, recorded TV shows, backed-up DVD’s etc. To use that media, you are probably watching/listening/looking at it on the device it is stored on or making copies on other media (USB drives, DVD-R’s, etc.) so you can watch/listen/look at it on other devices. It’s all a bit cumbersome, but it probably works if you put the time in to make it work. I have a Windows Vista slimline-type desktop and a Windows XP laptop that access my media and other files over a wireless network. My files are stored on a Network-Attached Storage device (NAS) that is essentially an external desktop hard-drive/enclosure with a network jack (RJ-45) in the back of it. It’s great that my media is stored in one place and I can get to it from either machine, but I have a nice home theater setup that I would like to leverage to access play that media. Up until now, I have been using my laptop to serve up media to the home theather system. It is a bit of a cumbersome exercise to hook up the laptop when I need it and access the content I want. It’s workable, but I want something that does not require setup every time, and I am not prepared to devote the laptop to servicing this requirement only. I have decided that I need some sort of media player that I will hook into my home theater system and leave there most of the time. An additional feature I would like to have is the ability to take this player to other places fairly easily. What type of media player? In my last post on this subject, I decided that I was going to go with a regular cell phone rather than a smartphone. In that post I listed my requirements, and I came up with a list of cell phones that I thought should meet my needs. In this post we are going to dig a little deeper and narrow the field of candidate phones, and then make a final selection. What carrier should I go with? One way to narrow the group down in a hurry is to make a decision on the network I want to be on. This criteria may not make a lot of sense to someone living in one of Canada’s largest cities, but anyone who lives in Atlantic Canada and spends any time outside the major centers knows that the network really does matter. The time has come to replace my 4-year-old mobile phone and I have some decisions to make. As with any purchase decision, I like to do the research so I am going into it with all the information I need to make the best decision. In this case I had a few decisions to make and I researched them in order. This post is the first of two which discuss my major decision points along the way. Decision 1 – What type of phone? Indeed, that is the question that anyone buying a mobile phone these days should be asking themselves. Unfortunately I don’t think a lot of cell phone buyers are really asking that question. I see a lot of people buying smartphones without much thought as to whether the enhanced feature set offered by these phones justifies the much higher upfront and ongoing monthly costs.